Search Engine Marketing (SEM) in simple terms is the promotion of websites on search engines through paid advertising such that the sites are visible on Search Engine Result Pages (SERP). SEM encompasses SEO & Paid Advertising in which SEO is the practice of earning traffic through unpaid or free listings while Paid Advertising is buying traffic through paid search listings. Time, technical knowledge & skill and in-depth keyword research gradually allow a website to climb through the search engine results pages, good search engine optimization takes time. Whereas search engine marketing helps to skip a few steps and a lot of time. It will certainly help to get a lot more leads and sales if both SEO an SEM are implemented. Utilizing search engine marketing can significantly speed up to build the brand and the client base. 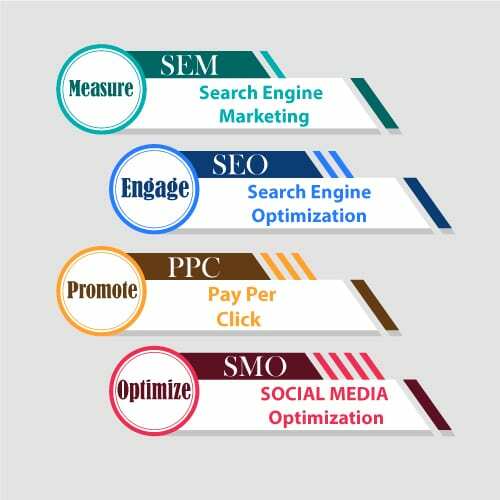 Search engine marketing is also alternately referred to as paid search or pay per click (PPC). SEM, PPC & Paid Search Marketing are sometimes used alternatively. It’s important to note that while all SEM platforms utilize a PPC advertising model, not all PPC is SEM. SEM is essentially buying traffic through paid listings on search engines. Apart from Google (AdWords) – the behemoth search engine, the other two important ones are Yahoo and Bing (Bing Ads, formerly known as Microsoft adCenter). Most search engines have an ad platform for search engine marketing. SEM is one of the most effective ways to grow visibility, traffic, and business in an extremely competitive business environment. Keywords are everything for SEM, just as they are for SEO. 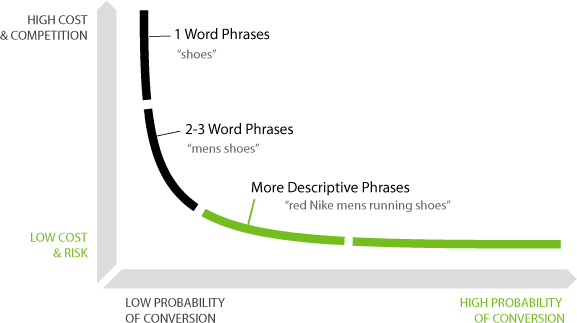 When we run SEM campaigns, we choose keywords that determine which ads will show up on which searches. As a result, in-depth keyword research is the key to running a successful search engine marketing campaign. The objective is to run the campaigns targeting the exact right terms or we will miss the target audience. Advertisers bid on specific keywords relevant for their business and when a user of say Google or Bing searches for something using that keyword/s, these advertisers or their ads show up alongside the answers to the queries on the SERP. SEM’s USP is that it puts the relevant ads right in front of the motivated potential customers who are ready to buy at that precise moment. SEM is a non-intrusive form of marketing. Marketers understand that the person is in a hunt mode and is looking for information which may directly or indirectly be of commercial nature. Keyword research plays a critical role in selecting and bidding on the right set of keywords and this can give the advertiser excellent results. Choosing the right keywords can make or break search engine marketing campaigns. The objective is to choose keywords that have high volume and low competition. This will increase the likelihood that the ad will rank well and bring the PPC down. There are several keyword research tools that we can use to do SEM keyword research. These keyword research tools give insight into the search volume and competition level of keywords, most keyword research tools also give information about the average or current estimated PPC/CPC for the keywords. This keyword analysis gives a good idea of the keywords that will not only be beneficial for the SEM campaign but also cost effective. We can type our search slowly and take note of Google’s Autofill, looking for keyword areas we hadn’t considered. We can take note of whether competitors are advertising on these keywords and verify the competition level that ads are showing for these keywords. We can screenshot competitors ads and take note of ad extensions and copy used and then create a better version. All search engine marketing platforms work on a bidding system, where advertisers place bids on certain keywords and audiences. Whoever bids the most, ranks the highest. We only have to pay enough to outbid the next highest bid. The SEM campaign has to play a balancing game between ranking higher and paying too much for the clicks. Most SEM platforms take the quality of the ads into account, which we can tap to outrank the competition even if we can’t afford to outbid them. To calculate the quality score most SEM platforms look at factors such as how strong the landing page is and how relevant the ad is to the keywords selected. As a lower required CPC will mean we can pay more for ad placements and in the long run optimizing the quality score can help the campaigns significantly. Google gives each ad a quality score and takes that quality score into account when calculating where the ad ranks: Maximum Bid * Quality Score = Ad Rank/Position. Many forms of search are now evolving including voice search and search within app environments. Many countries have their general purpose or specialty search engines locally build up to meet the needs of their local population. We can likely expect organic search to continue to be pushed further down the page as advertising takes up more space. Understanding how to use search engine marketing effectively is an important skill for every marketer. We at BPM help suggest the right keywords and execute & optimize the search campaigns for our clients to deliver best results.